EFFECT OF NIFEDIPINEON SERUM LUTEINIZING HORMONE AND SERUM TESTOSTERONE IN MALE SPRAGUE DAWLEY RATS. Sidra Hamid Rawalpindi Medical University, Rawalpindi, Pakistan. Qaiser Aziz Holy Family Hospital, Rawalpindi, Pakistan. Aneela Jamil Foundation University Medical College, Islamabad, Pakistan. Lubna Meraj DHQ Hospital, Rawalpindi, Pakistan. Shazia Muazam Rawal Institute of Health Sciences, Islamabad, Pakistan. Omera Naseer Rawalpindi Medical College, Rawalpindi, Pakistan. Background: The most potent and effective drugs used for the management of blood pressure in hypertensive patients are Calcium channel blockers (CCBs). Nifedipine, a CCB, acts by blocking entry of calcium ions all the way through the voltage gated calcium channels (VGCCs) of L-type present in the smooth muscle cells of blood vesselsand reducing the blood pressure by decreasing the peripheral vascular resistance. Objectives: The study objective was to determine the effect of nifedipine on serum luteinizing hormone (LH) and serum testosterone in male Sprague Dawley rats. Study Design: Animal experimental study. Setting: All experiments were conducted at the Research laboratory of Shifa College of Medicine, Islamabad along with National Institute of Health (NIH), Islamabad. Period: October, 2012 to April, 2014. Methods: The study was done on adult male Sprague-Dawley rats (N= 60) aged 90-120 days old and their body weights varied between 200 + 50 grams. Rats were divided intotwo groups (n=30). Group A was administered0.5 ml distilled water/rat daily orally, group B was administered orally with nifedipine 50 mg/kg/rat dissolved in 1ml of DMSO. All the doses were given to rats for 8 weeks. After 8 weeks, serum luteinizing hormone and serum testosterone were measured in both groups. Results: In Nifedipine treated group, serum testosterone was significantly decreasedand serum LH was unaffected as compared to the control group. Conclusion: Nifedipine has adverse effects on male fertility as it decreases serum testosterone level. Sidra Hamid, Rawalpindi Medical University, Rawalpindi, Pakistan. Qaiser Aziz, Holy Family Hospital, Rawalpindi, Pakistan. 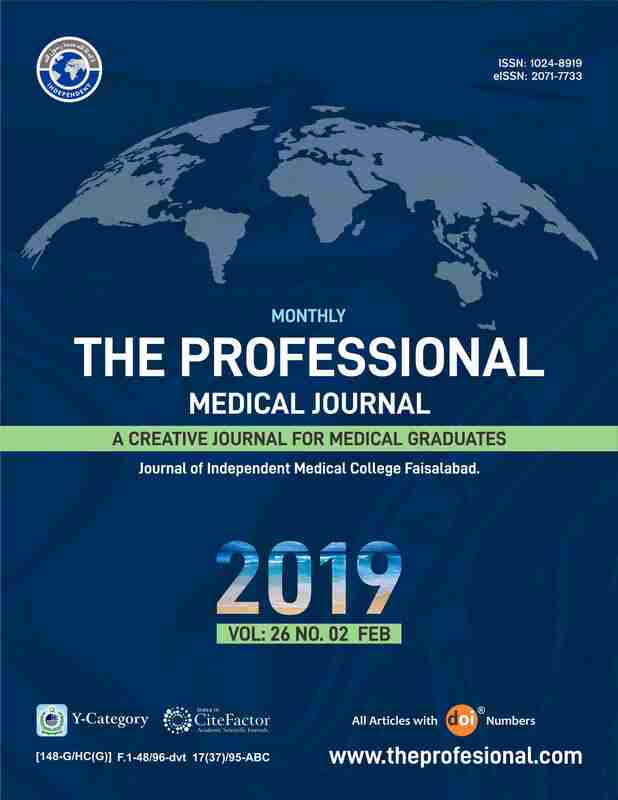 Aneela Jamil, Foundation University Medical College, Islamabad, Pakistan. Lubna Meraj, DHQ Hospital, Rawalpindi, Pakistan. Shazia Muazam, Rawal Institute of Health Sciences, Islamabad, Pakistan. Omera Naseer, Rawalpindi Medical College, Rawalpindi, Pakistan.